Home » News » General News » Hope you’re all ready to #BleedGreen as we dive into 2017! Firstly, Happy New Year to you all! 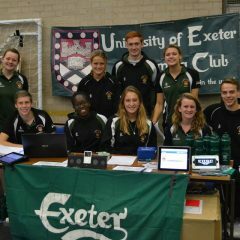 I hope that you have all enjoyed the Christmas break and cannot wait to get back to Exeter ready for all that we have planned for next term! 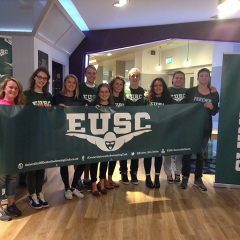 Last term proved highly successful for EUSC, with 12 club records being broken at short course BUCS in November, a very high target to aim towards for long course BUCS! We also had some sessions over at Mount Kelly swim center in Tavistock, where we made great use of their 50m pool. Well done to everyone who attended these sessions, I hope that they were beneficial to you and that you enjoyed the experience. We are hoping to run another session in March so please keep an eye out for the date nearer the time! I would also like to say a huge thank you to Brad Skillicorn for organising the Germany trip to Karlsruhe that took place in December. I hope those of you who had the opportunity to go on this trip had a great time! Below are some key dates and information for next term – I will also be sending out emails with more information about the following events. The first session back after the Christmas holidays will be on Monday 16th January. There will be no training on during exam week. The first social of term will be on Friday 20th January. Our social secretaries Sam and Emily will be giving us more information about the social nearer the time, but for now be sure to keep this evening free! 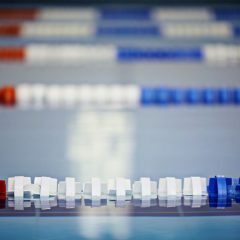 Tuesday 17th January, St Lukes pool, 20:30-21:45: 50m Fly, 50m Back, 50m breast and all 200m events. Thursday 19th January, Pyramids, 21:00-22:30: All 100m events, all 400m events and 50m freestyle. If you have any questions regarding BUCS or trials, please contact Hannah (hip214). Items of stash ordered off the club website such as towels, costumes, ties, hats and the bespoke Playerlayer tops have now arrived and Anna will be doing a collection on the 20th January. Please keep an eye out on your emails/our Facebook page to confirm collection details nearer the date! Saturday 4th March: The competition will be starting at 1pm. This is an event not to be missed! 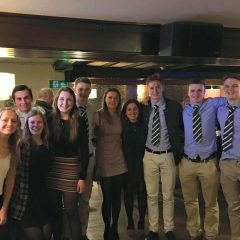 We annually hold our club Varsity at Pyramids – this is open for the whole club to take part in and we invite other Universities down to compete. 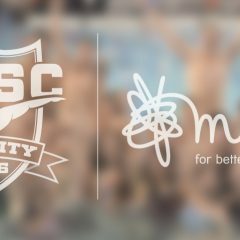 This event is run to raise money for a chosen charity, so if you do have any suggestions on a Charity then please email Eliza (ehg201) and we will add it to the vote! We will also need volunteers to sort raffle prizes and organise some fundraising events (a sponsored 5km swimwear run which we have been running for the past 3 years/a pub quiz/ any other fundraising ideas that you would like to put forward!) 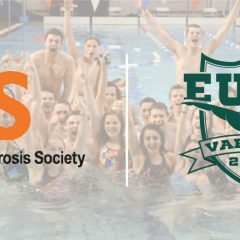 If you would like to take part in our fundraising for Varsity please join the following Facebook event: https://www.facebook.com/events/1273595022715845/ or email Eliza (ehg201) for more details. If you are interested in running for a committee positon next year then this is a great opportunity to give it a try and to really get involved within the club! I am looking forward to seeing you all very soon and good luck to those of you with January exams!